The ever growing combat sports promotion Absolute Championship Berkut Jiu Jitsu (ACBJJ), often referenced as Fight Club Berkut or Berkut Grand Prix, is returning with its jiu jitsu league in what promises to be one of the biggest light weight tournaments of the year. Held in Moscow – Russia, the event will jump-start the 60 kilogram (132 lbs) and 65-kilogram (143 lbs) divisions of the league. The 60-kilogram division offers plenty of potential dream match-ups by being slightly above the rooster weight limit, this way leaving the possibility of clashes between the most competent ‘galo’ competitors and the smaller men in the light-featherweight category. This likelihood of dream match-ups also translates to the under 65 category, with plenty of possible matches between light feather, feather and even light-weights. – Round winner will be decided under a 10-9 system similar to mixed martial arts (MMA) bouts. 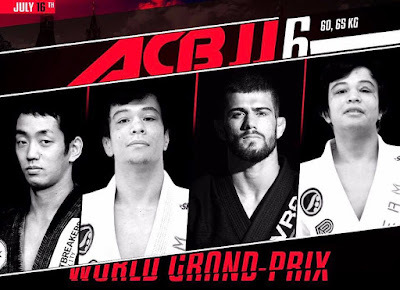 Absolute Championship Berkut (ACB) is Russian mixed martial arts, kickboxing and brazilian jiu-jitsu organization and one of the leading promotions in Europe. ACB has also held events in United States, Poland, Romania, Scotland, Georgia, Netherlands, Belgium, Tajikistan, Austria, France, Belarus, England and they have planned events in South Korea, China, and Kazakhstan.